If you're like a lot of people these days, you're getting all kinds of annoying marketing calls or worse, robo-calls, offering things like a “hassle-free assessment” for health insurance, or perhaps a new home security system — the message citing some FBI statistic. You probably don’t bother with these calls because it's obvious they're marketing calls, possibly scams and they're Skynet (for you non-Terminator movie fans, that's robots). At this point, these calls are just very annoying. But some calls targeting business offices are more than annoying. Once acted upon, they're expensive, sometimes to the tune of thousands of dollars. We’re talking about phone-based toner scams. 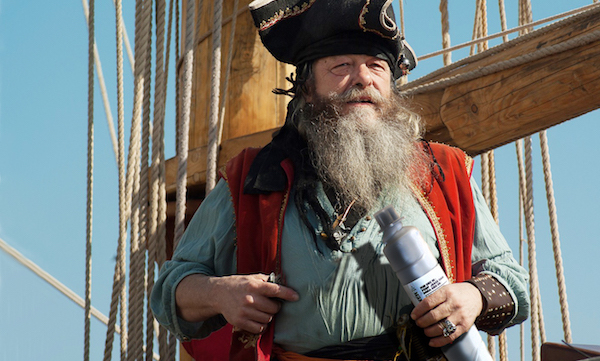 Toner Pirates: What they "ARRRRrrr"
Let’s say you’re in you’re office one day and from your desk phone you take a call from someone claiming to be from your copier manufacturer (Ricoh, Canon, Sharp, Kyocera, or the like) or from an office supply or technology company. The caller starts asking about your equipment or toner. Maybe he tells you about some impending toner price increase and then encourages you to buy this toner now while it’s still cheap. It seems legit, right? And you want to save your company money, right? Actually, no — at least to the caller’s legitimacy. The caller may very well be a toner pirate. While he may not have a peg leg (Who can tell over the phone?) and he may not have you walking the plank, he will try to steal from you, ‘cause that’s what pirates do. He’ll do so by trying to sell you inferior toner at an exorbitantly high price. Before making their calls, these scammers do a bit of research online or place some calls to find the names and contact details of key staff members of your company and follow-up by calling and offering a supposedly discounted rate on ink and toner products — often masquerading as the company’s usual toner provider. One of our clients some time ago received a call like this and became suspicious when the caller referred to our technician as a man when she knew our technician for her company was a woman. She knew then something was amiss. If you are a client of ours, just know, as a practice, RK Black company does not and will not call you to sell you toner as most of our service contracts include toner as part of the “cost per click” charge. As such, our technicians will install the toner as it is needed making it completely unnecessary to call you. So if someone calls you and tries to sell you toner, you should see a red flag — or in this case the "Jolly Roger" (the black-skull-and-crossbones flag associated with piracy). Educate your office about these scams so that your co-workers will recognize them when they see them. If you get such a toner scam call, ask the caller for a phone number by which to call them back. This typically results in rudeness or the quick click of the phone other end being hung up (also rude). If you receive toner to your office and you aren’t familiar with it or the company sending it, don’t pay for it. Instead, call the company and tell them to pick it up. Don’t be afraid to reach out to the Better Business Bureau and the Federal Trade Commission for further help. Thank you for your time and for your help in preventing toner fraud.